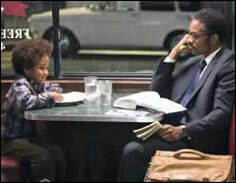 A red 63 Studebaker Avanti speeds past in the background in a scene from The Pursuit of Happyness. 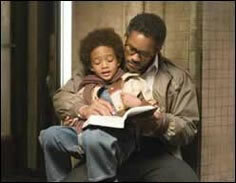 Will Smith in a scene with his son who is his son Jaden Smith in real life. 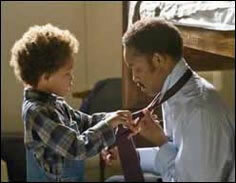 A scene from the movie The Pursuit of Happyness. Will Smith was nominated for a Best Actor Oscar for his performance.